We are also well aware that this is not the case in every nation for every people. There are places in which activities that we freely enjoy can land a person in jail, to be tortured or even put to death. 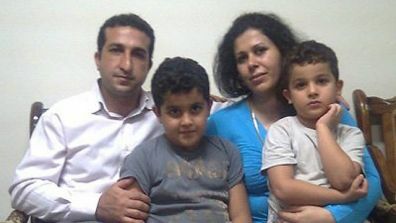 Such is the case for a 32-year-old Iranian pastor by the name of Youcef Nadarkhani. His crime? Apostacy; that is, that recanted his Muslim faith. He was born to Muslim parents, yet converted to Christianity as a young man. This, in the world of fundamentalist Islam, is a crime punishable by death. This is the fate that awaits this young pastor, who is also a husband and father. He has allegedly been given three chances to renounce his faith. Each time he has refused. It has been announced that the case will now be decided by Iran’s Supreme Leader Ayatollah Khamenei. He will “determine” whether or not Nadarkhani was in fact born a Muslim. He can “determine” that he wasn’t; therefore nullifying the case. This is unlikely without international pressure. As listed on the American Center for Law and Justice’s website, there are quite a few U.S. officials demanding the release of this man, and they are to be applauded. The White House and the Secretary of State have also released statements of condemnation, but there is more that can be done on the part of the Secretary of State Hillary Clinton. On the site, there is a petition that can be signed in support of such action. Thousands of people have done so, and hopefully this will prompt Secretary Clinton to action. More so than any petition, this brave, faithful Christian needs our prayers. While we pray for him and his family, we should also pray that such oppression never reaches our shores. As long as we safeguard our founding principles and the precious freedoms that are recognized therein, we have the hope that our future generations will never, ever have to live out such a nightmare. Freedom is not permanent; it is a precious gift in existence only as long as it is protected. Let this also serve as a lesson of character to us all. Simply ask yourself the following: would you hold fast to your faith under threat of bodily harm or even death? I daresay many would sheepishly answer in uncertain terms, or even in the negative. May we all daily strive for the courage and conviction of this young Christian. I will be keeping him and his family in my thoughts and prayers. Thank you for the link for the petition!